This page contains a single entry published on February 15, 2009 2:35 PM. Just Announced! was the previous entry in this blog. Happy 50th Johnny Mac! is the next entry in this blog. Mrs. Leaf and I are moving apartments at the end of the month, and in the midst of packing, I put on Morrissey's Oye Esteban DVD for some background music. While I was perusing the credits I noticed a familiar name. As in the guy that directed 300 as well as Watchmen (out March 6th). 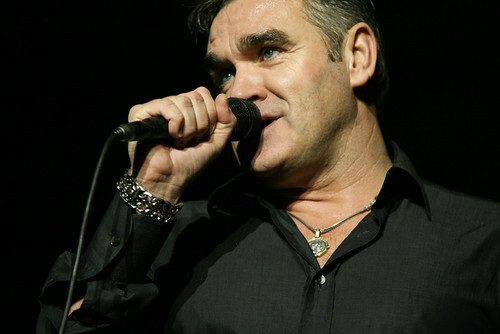 Snyder directed Morrissey's video for "Tomorrow." Small world. Incidentally, Morrissey's latest, Years of Refusal, is out on Tuesday. I didn't love it after one listen and my opinion hasn't changed. But lots of other people like it.